I made for Thad's graduation. It didn't scan well due to the tassel but I think it turned out really well. 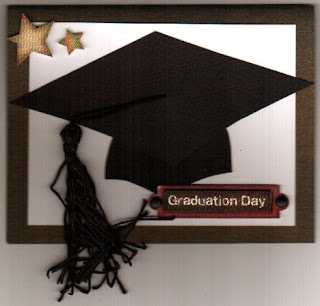 for a little more art time but ... my DS#2 is graduating H.S. today and I'm kinda busy trying to wrap my brain around the fact that my baby isn't a baby any more. While he is graduating he's going back for 1 more year before uni, thank the stars. At 17 I think he's just a little too young, emotionally to go. And I know I'm not ready to let go. LOL So I have 1 more year to prepare! Anyway, I am working on the White on White Fat book pages for the swap I'm hosting and starting July 4th I'll be off for 6 weeks, having a small procedure done, so I can do all the art I want! Yippee. I'm going to start looking for a journal to alter for a round robin a dear friend of mine is hosting. Never having altered a journal or book before, I'm trepidatious and anxious and sooo looking forward to it. 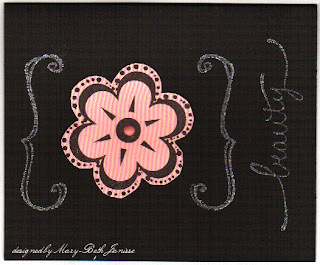 I can finally show the atcs that I made the 2 ladies that were runners up in my little blog candy. I thought they were cute even tho I'm not a cat person. 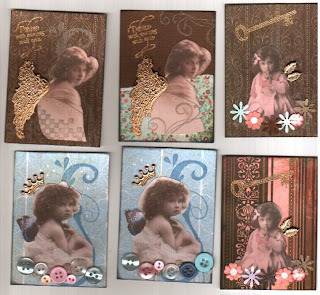 And these are atcs I made for a vintage swap. Had the hardest time with these. But thank heavens they finally came together. The images of the little girls I got off Nancy Dooren's blog. She has really great images that I love using. On one of my Yahoo groups, Byhand Artist, some of us are doing a year round mingle, hostessed by one lady who has amazing talent in art and organization. 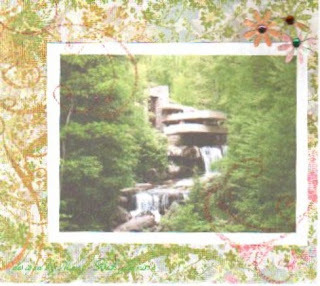 One page 4.5 x 4" decorated in the of the month. We are given several choices to pick from and we may combine themes. I love the tag! I am owned by a persian cat. My fav. TV show is Survivor! Thanks! Mary-Beth-you need a feed so we can get your updates by email!! My favorite tv show is anything Detroit Pistons. I only watch sports news and weather and am a freak for woman. But it works for me! Love that tag. We have a brown tabby with one eye. He lets the kids push him around in a box, hold him and lay things on him. He is the most laid back cat ever!! Oh yeah, my favorite show would be Lost or HBO's Big Love. I also like the Riches. I am so bad, I watch way too much TV. Thanks to all who played and left wonderful comments and great stories. my 1st! Check out the post titled Isa's C challenge. 1. the sun shone ... 2ce LOL It's been rainy, cold and miserable the last few days. 2. I'm back into a size 10 after losing about 15 lbs. YES!!! 3. I got to play with new stamps and paper today. That always makes me happy! What about you? I dare anyone reading my blog to post some happy little things on yours. Leave me a link so I can check what makes you happy. Thank you Kelly, you made me realize that today wasn't the bust I felt it was, even if I do have to go bck to work tonight! LOL. This week's Little Extra challenge is from an idea of Gillian's - she's always coming up with these fiendish ideas, you know! 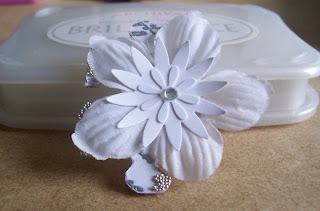 the only things you can use are things like staples, stitching, brads, eyelets, pins.... that sort of thing to attach all the bits to your card." I'll have to work on my scanner. This is showing a lot on the orangey side bit these colours are pinks and browns IRL. A little reminder if you want your work taken into account for the challenge/draw : the challenge is before anything else letter C, which means that whatever image is on your work has to start with C.
This is the compulsory bit. The options are just there to spice things up. Well CAT is the only thing I could come up with and I remember this quote from somewhere and I don't even know who said it so I can't attribute it. It seems I paraphrased the quote. 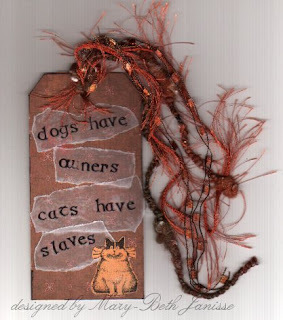 It's supposed to be 'cats have staff', I like 'slaves' better! Now I want to make this my 1st blog candy (not much I know) and all I ask is you tell me what your favourite TV show is, It's easy and it's been done but I have a cold and my brain can't come up with anything imaginative right now! LOL I'll pick a winner out of the entries and if I have enough comments, I'll send out a couple of atc's too the next 2 picks. Sound good? I hope so. LOL Oh maybe I'll add some bits and bobs too. I'm sure my DH wouldn't mind seeing me sharing the wealth. LOL I'll announce the 'winners' next Sunday morning. 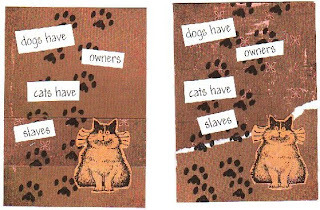 Esther posted on her blog and on ink-stains.com, an invitation for volunteers to do a piece of a small atered puzzle for her. I jumped at it as I had never done one and needed a challenge. The above is the piece I did for her. 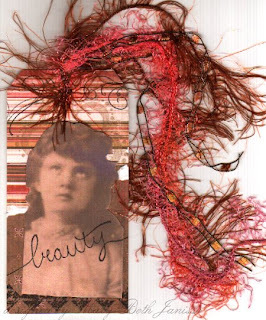 Check out Esther's blog to see the other pieces separate and together. Thank you Esther for giving us all this opportunity. It's a real shame that someone couldn't fulfill their responsibility to your project.